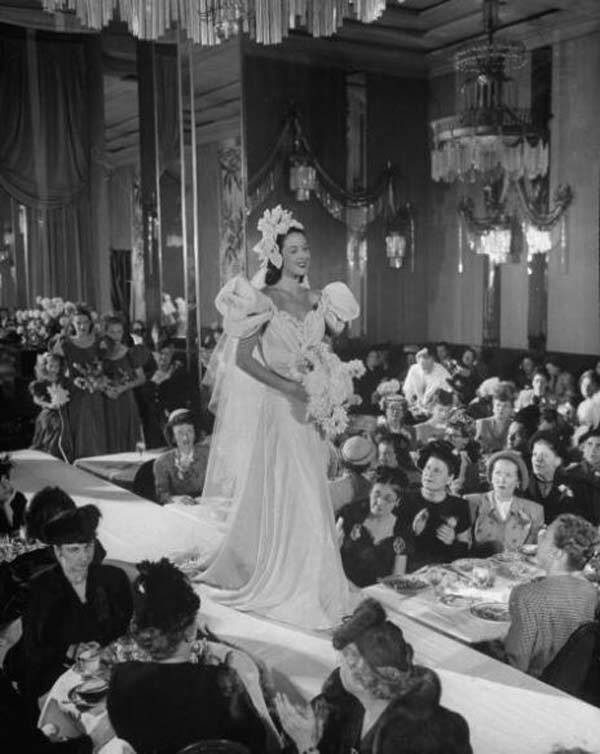 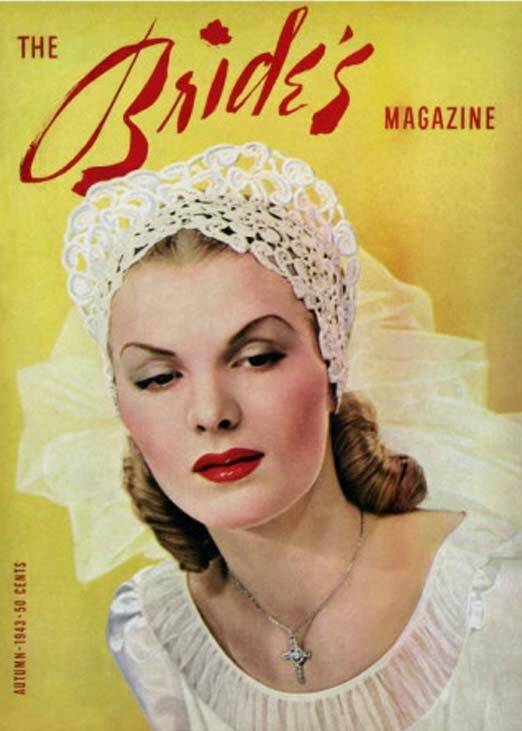 In the early 1940s, during the war, the fashion industry was heavily impacted by rationing. 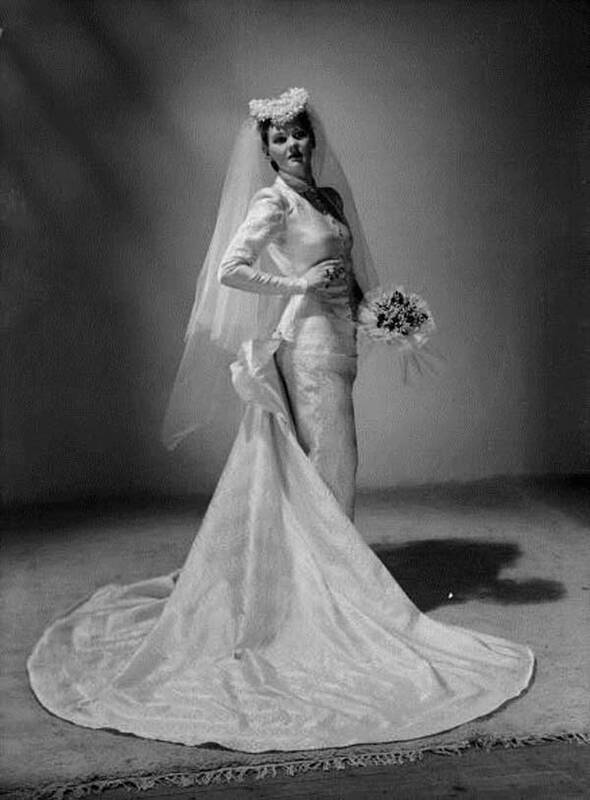 However, wedding dresses were exempt, meaning wedding gowns were free to be. 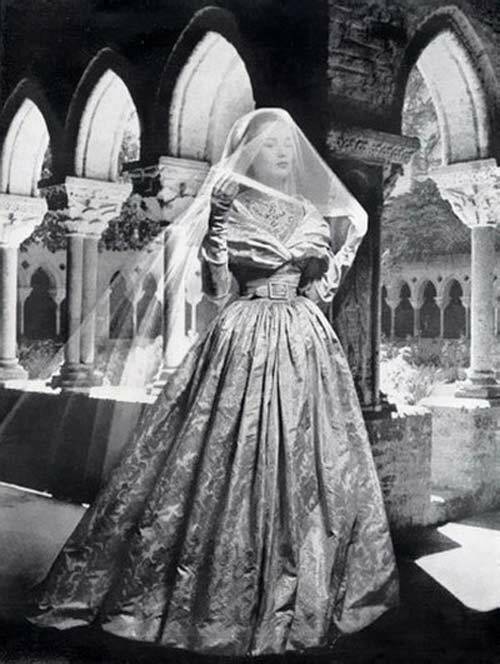 Still, with the strong need for silk in various war materials, many women decided to go with the more sensible fabric: rayon. 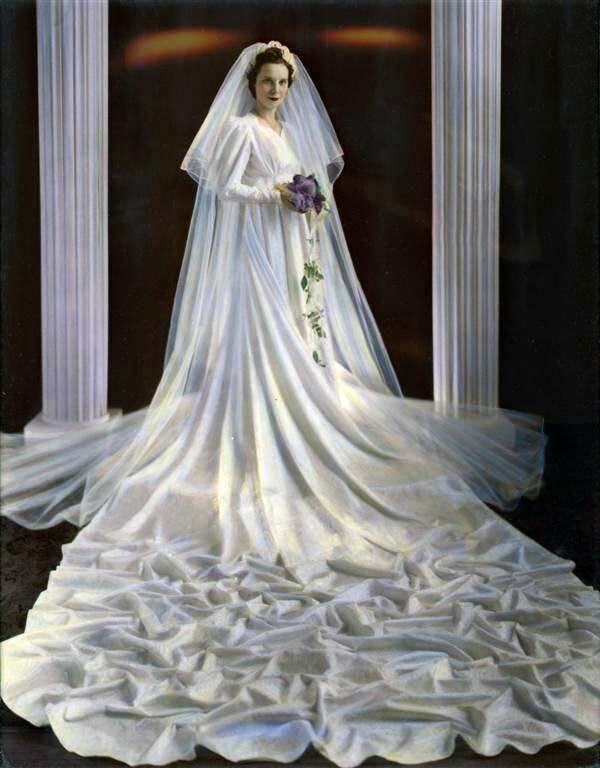 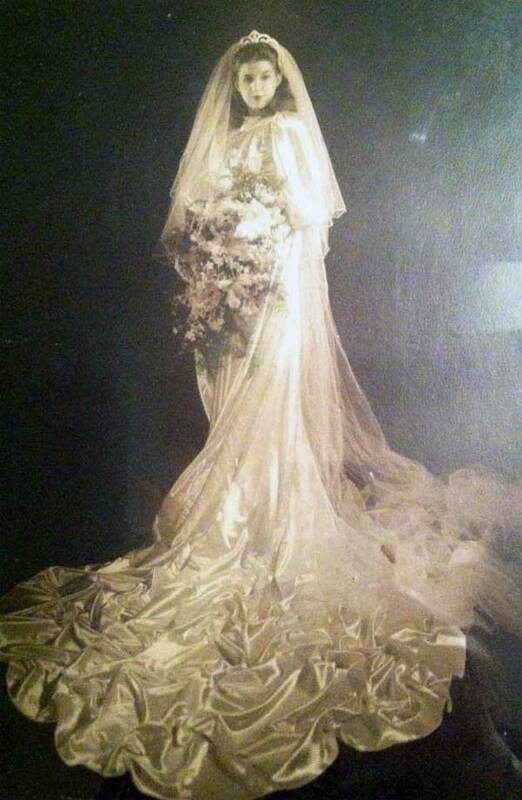 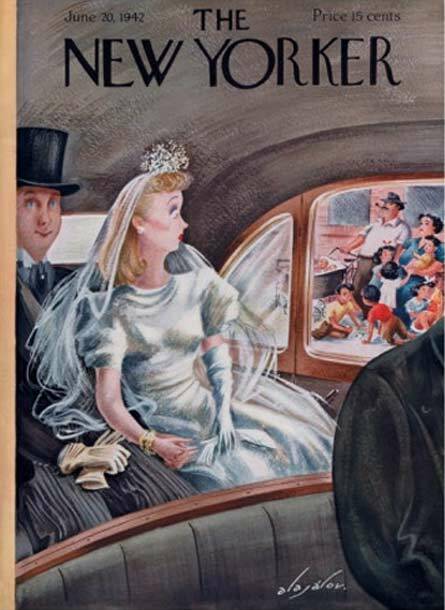 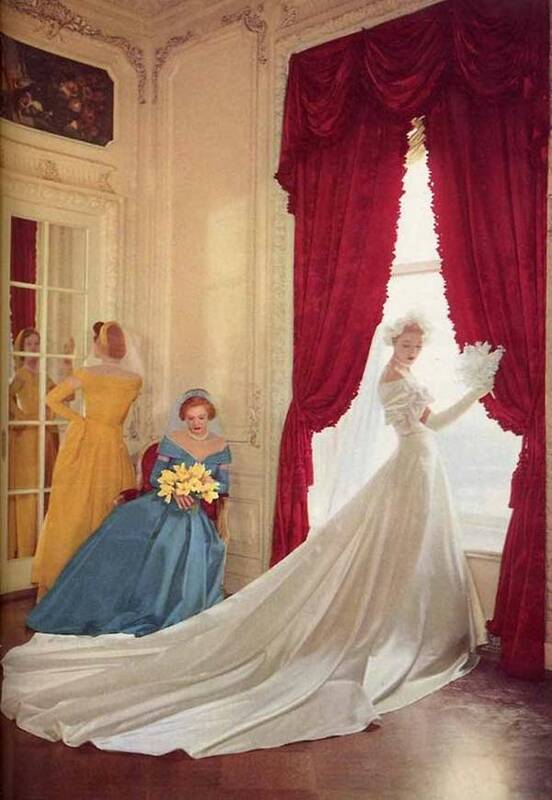 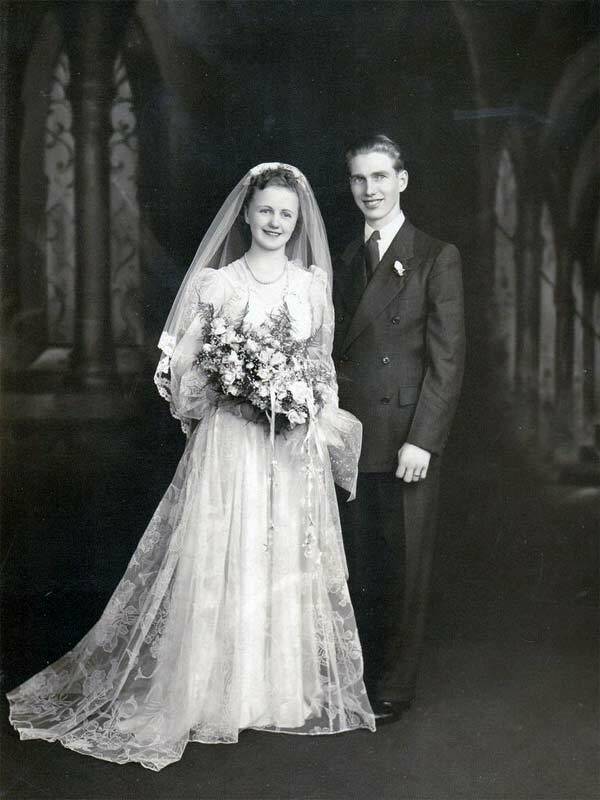 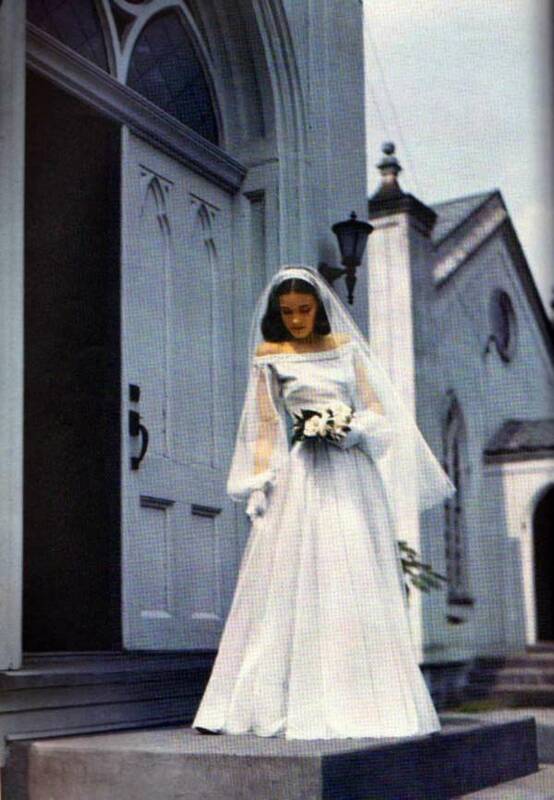 But don’t get me wrong, many wedding dresses in the 1940s had flowing trains that went on for days. 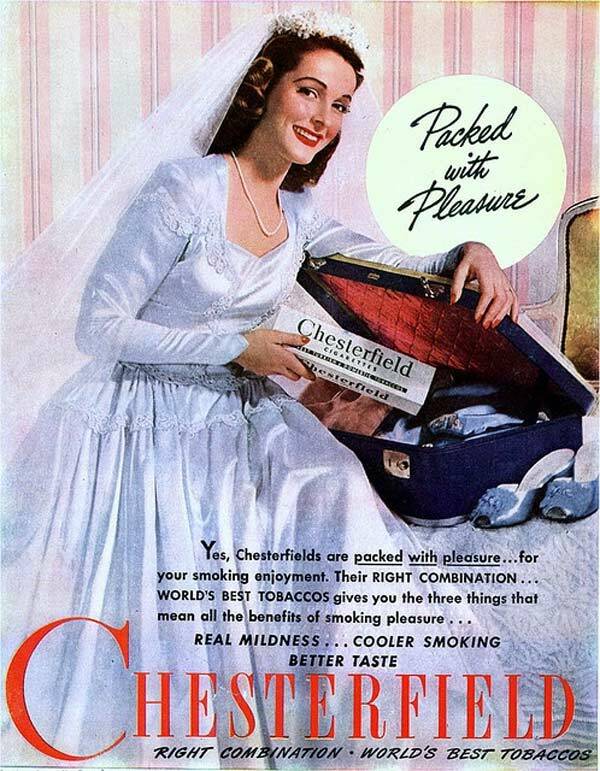 Especially between 1940-1942. 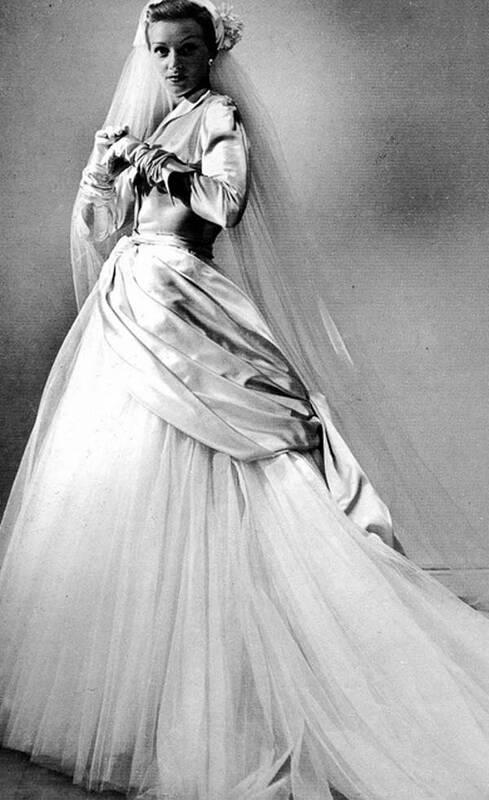 As the decade progressed, wedding gowns became more snug and less extravagant. 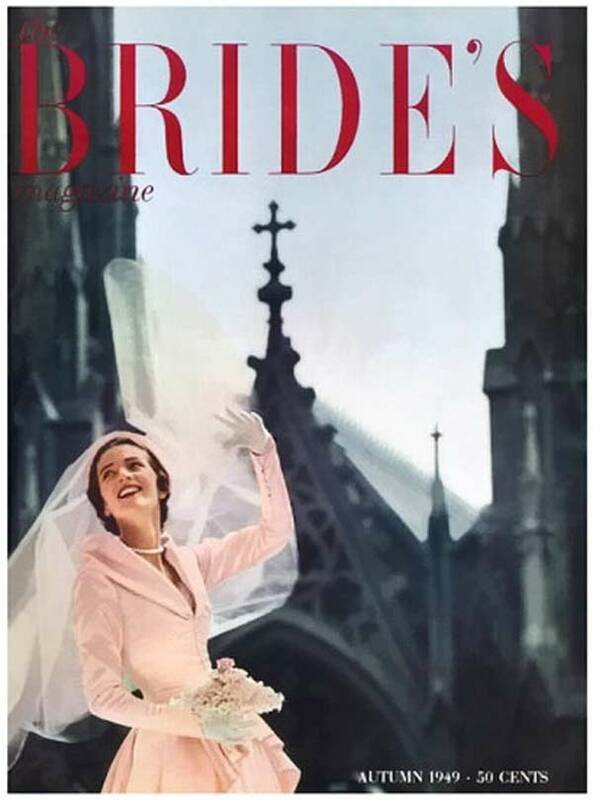 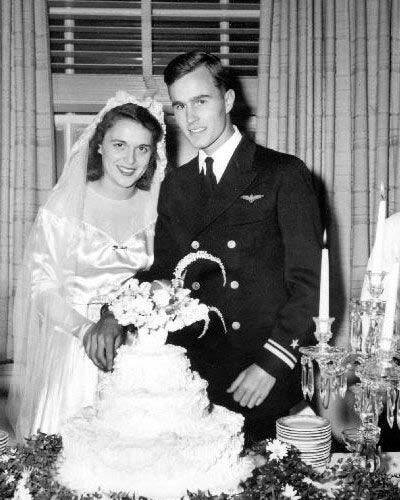 Sure, you’d see wedding dresses that could double as parachutes (and after the war some dresses were even made from them! 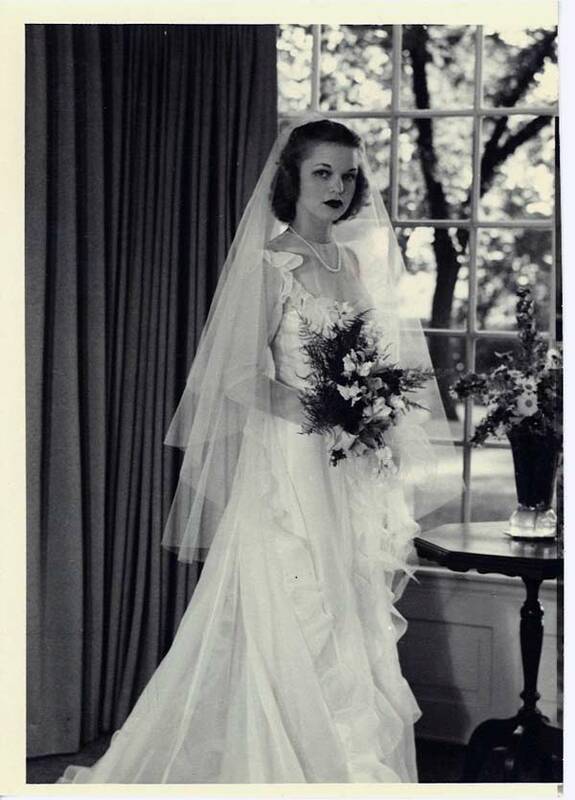 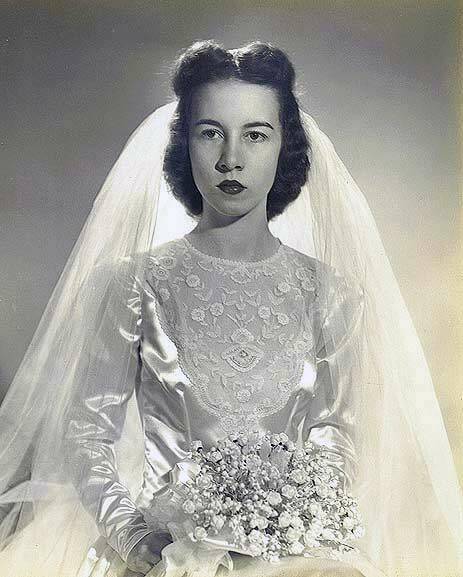 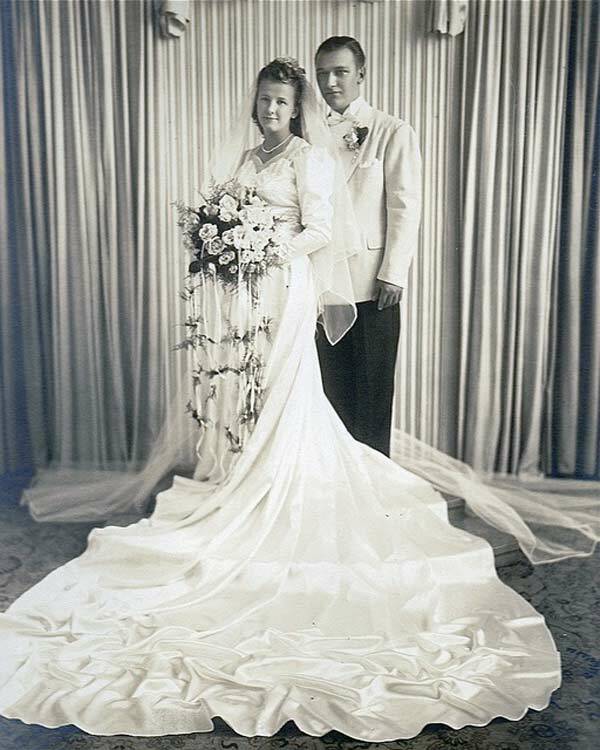 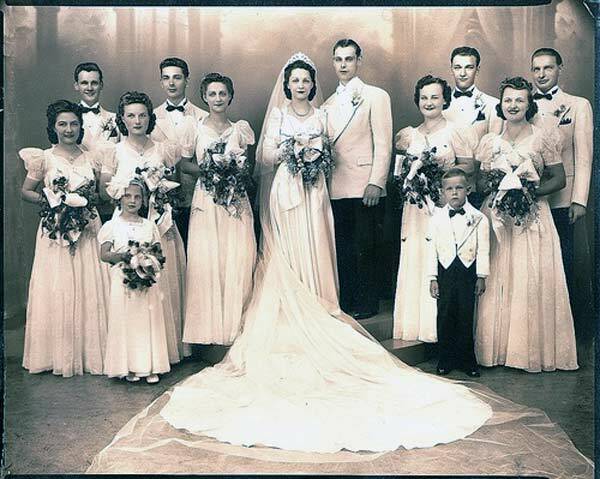 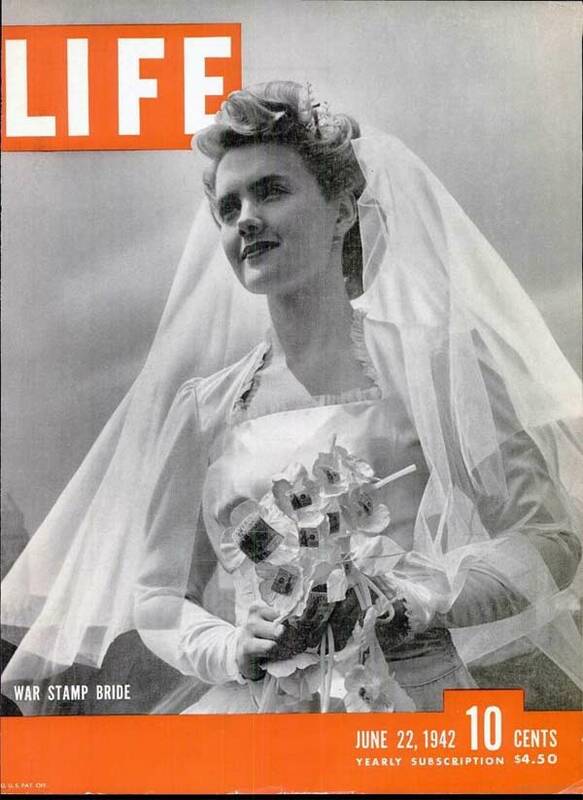 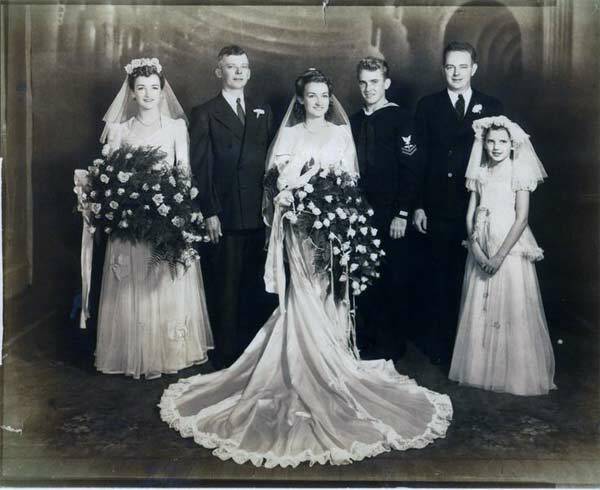 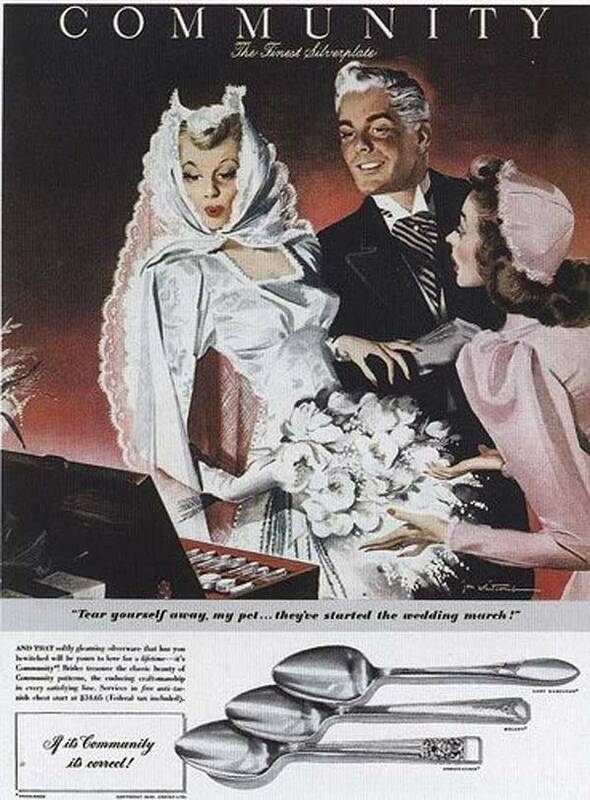 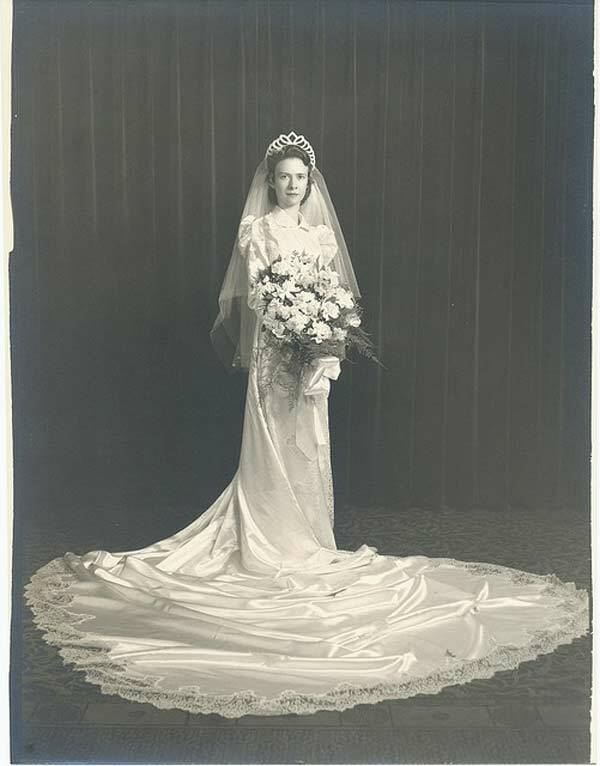 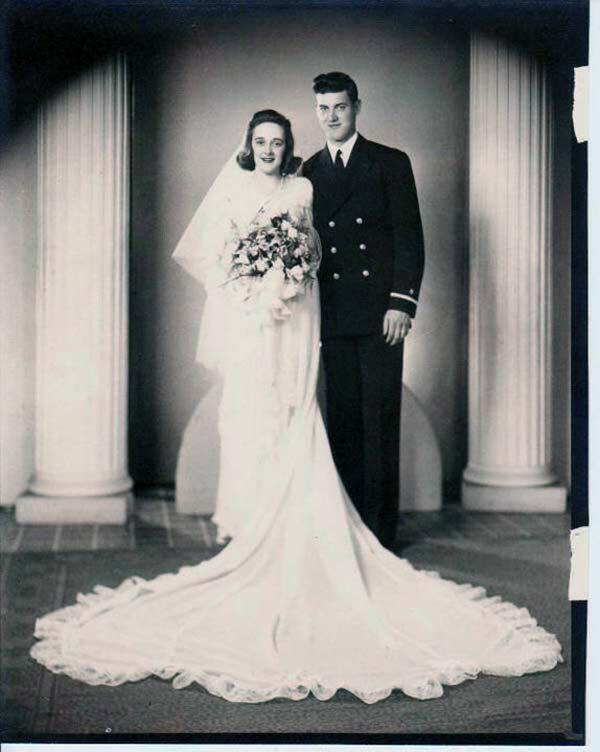 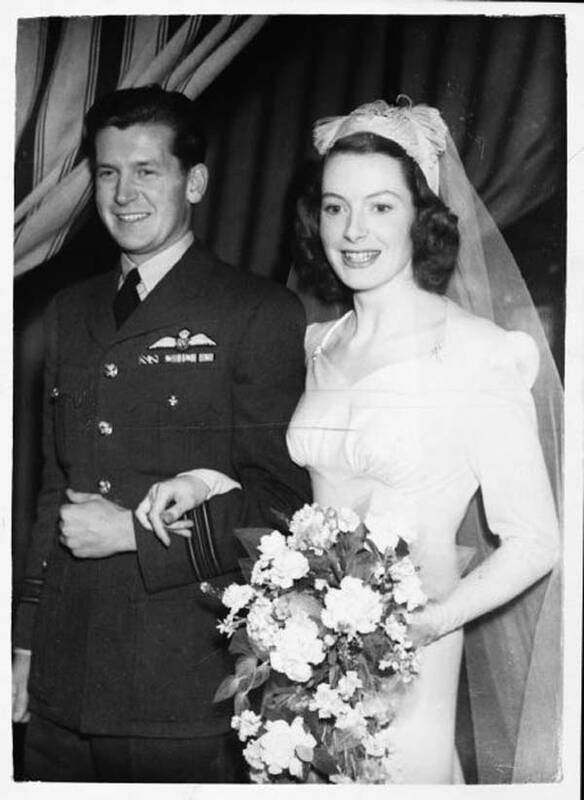 ), but it was a noticeable different how much more trim wedding dresses are in the late 1940s. 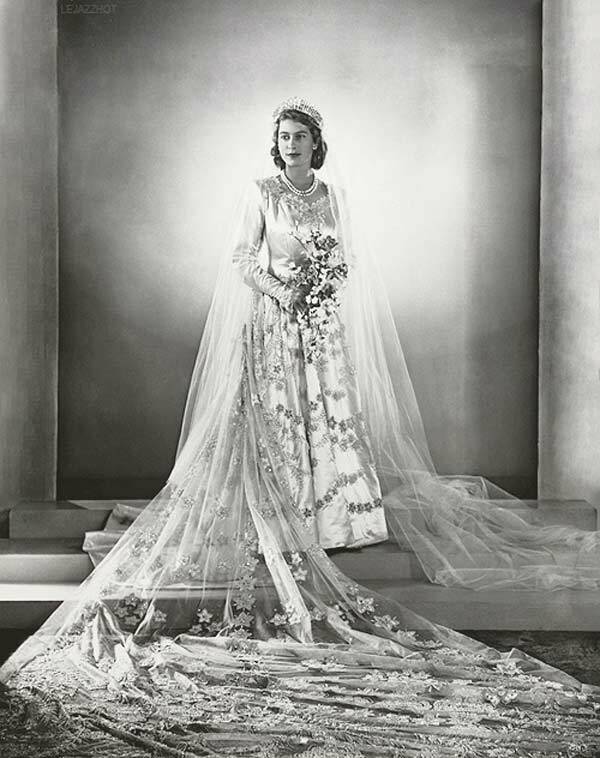 The bouquet was an absolute necessity for every bride, and most women wore a headpiece, ranging from tiaras to full length veils. 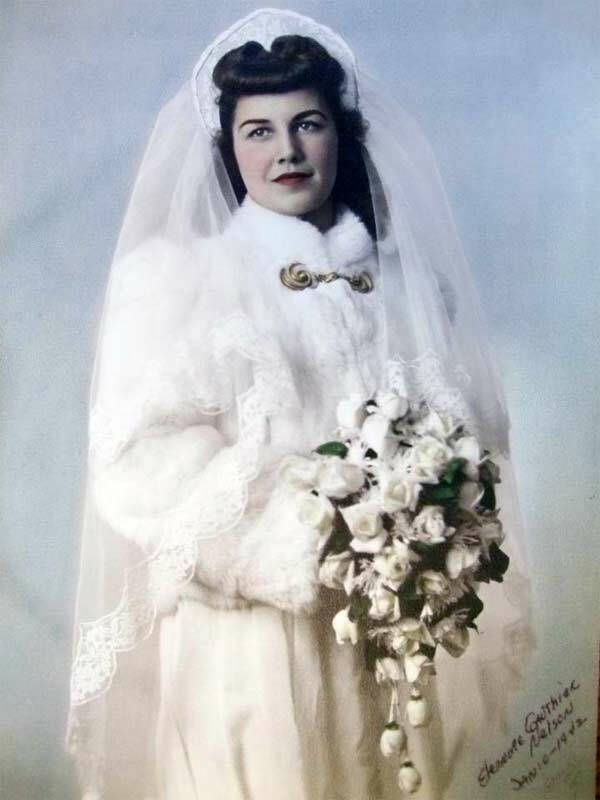 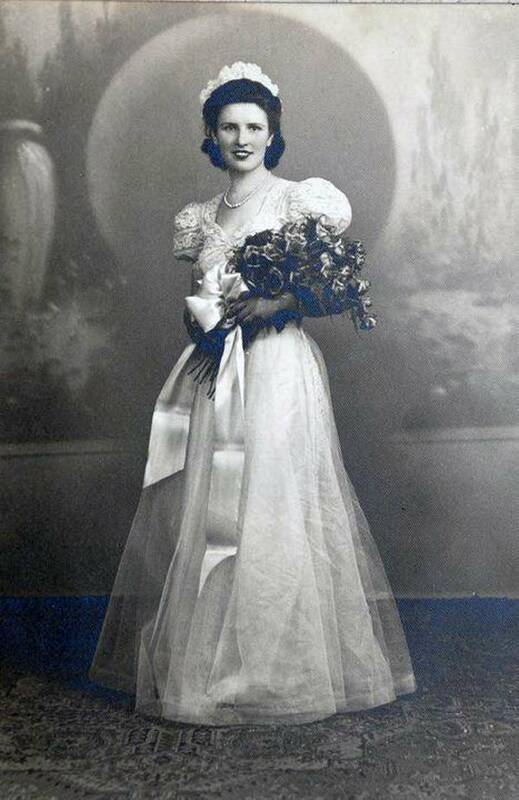 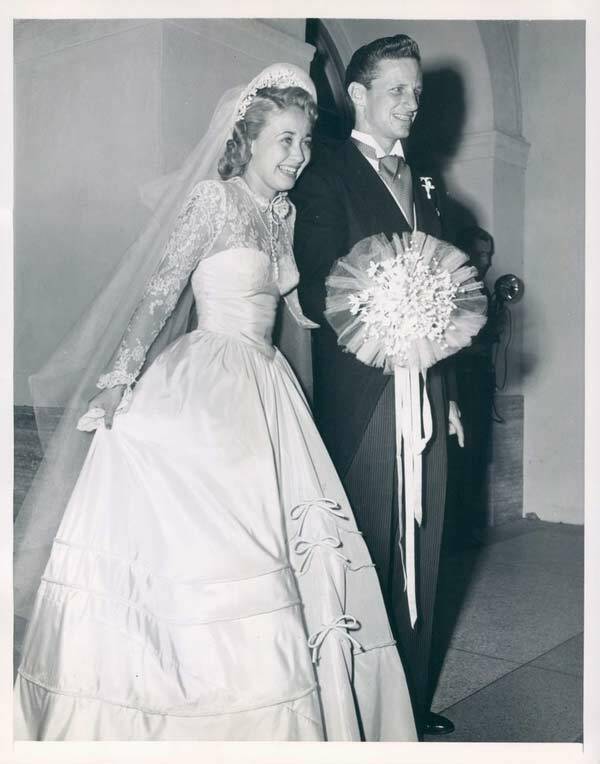 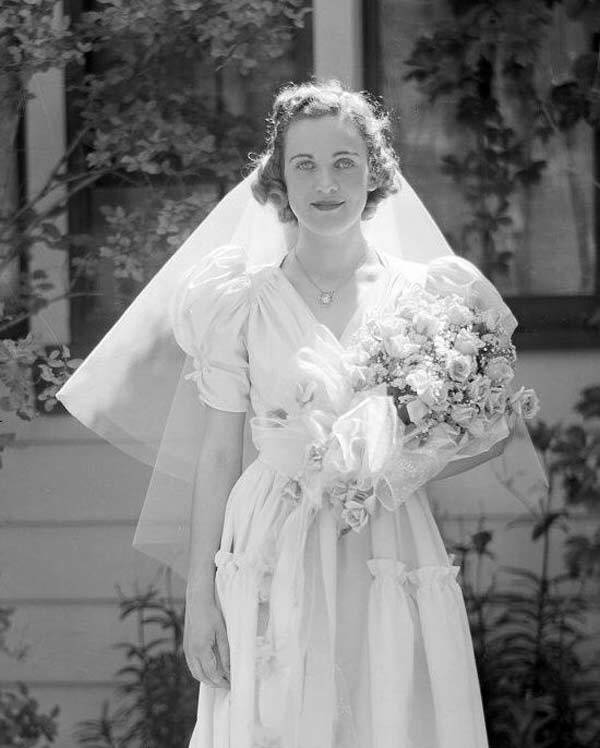 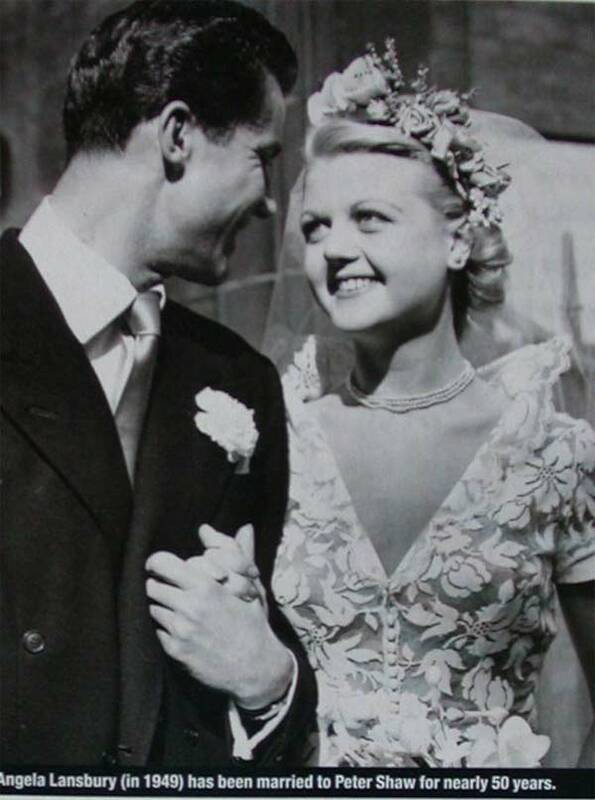 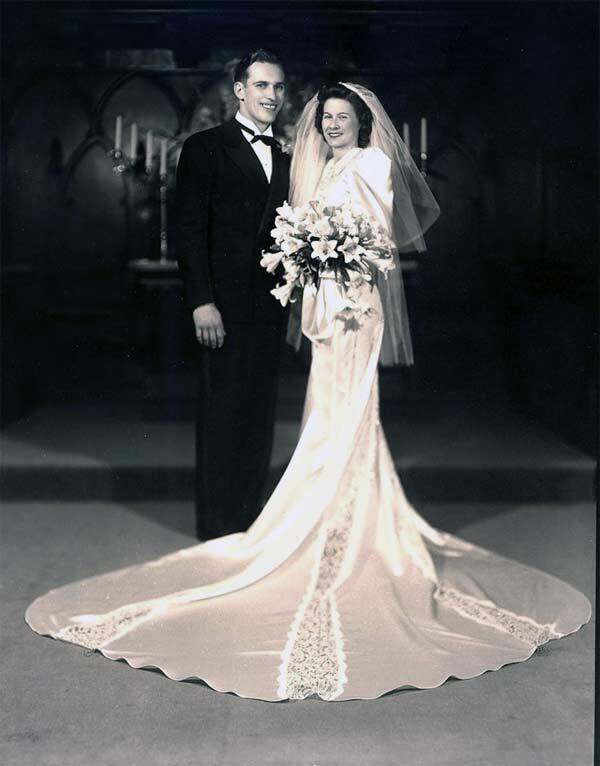 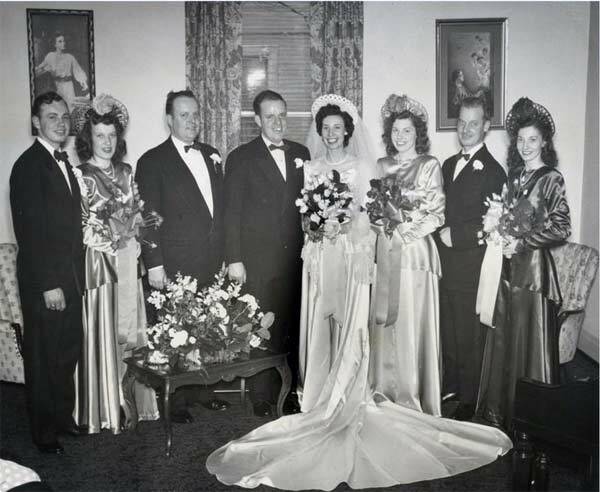 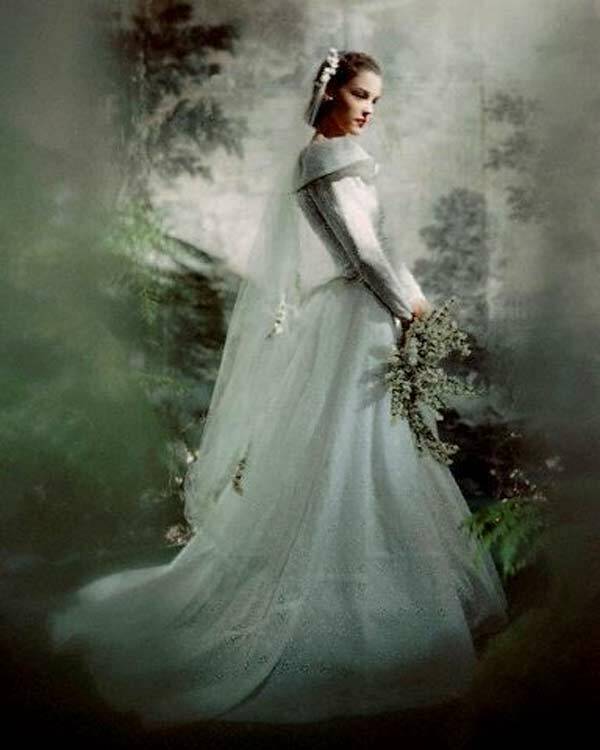 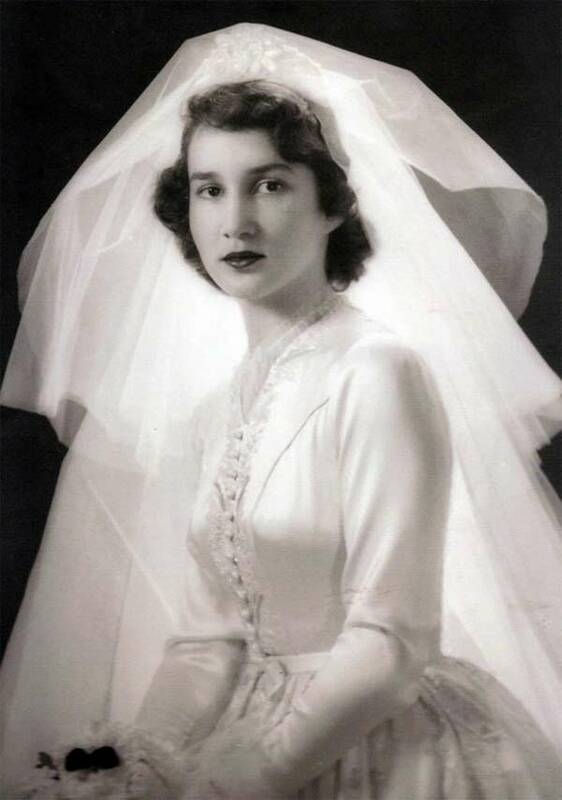 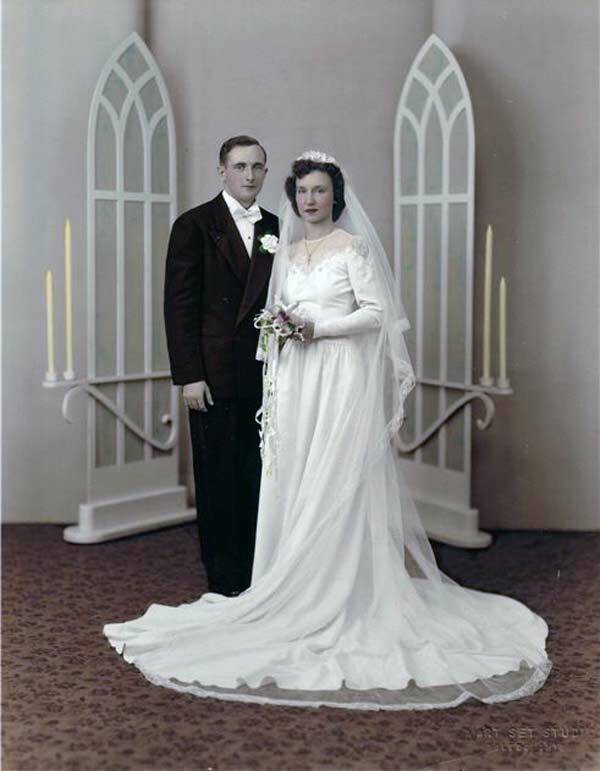 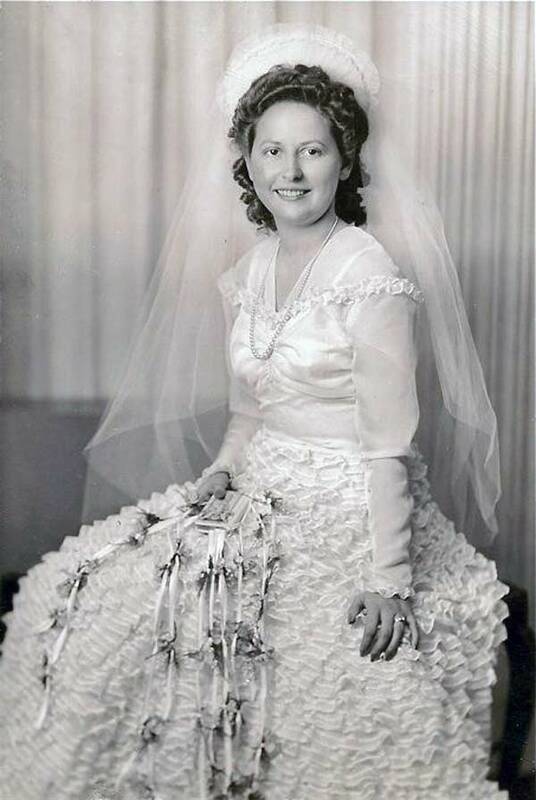 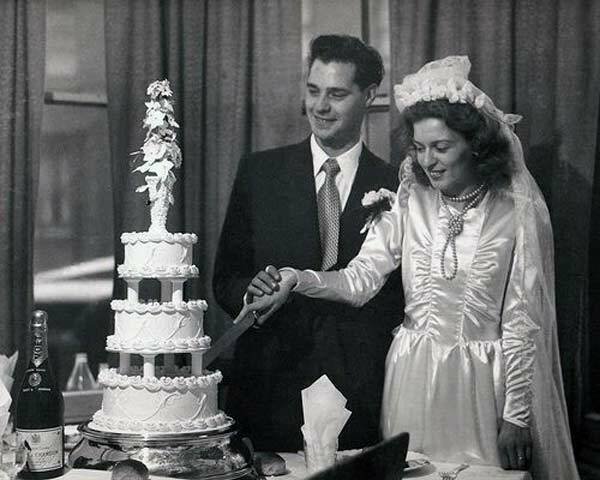 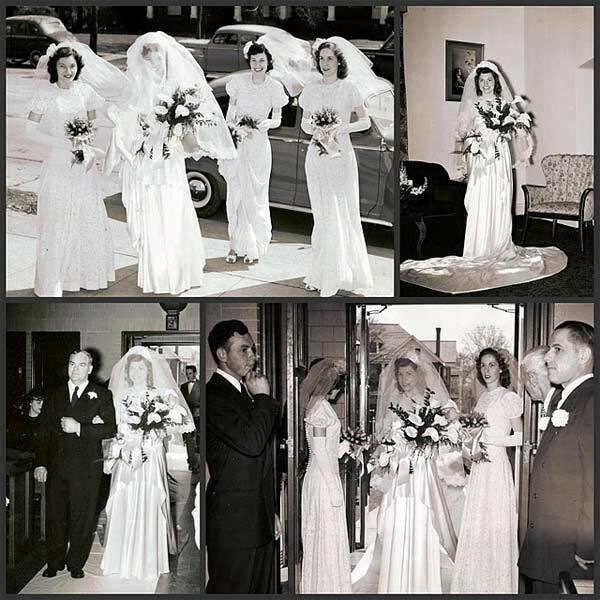 Traditional wedding dresses in the 1940s were white. 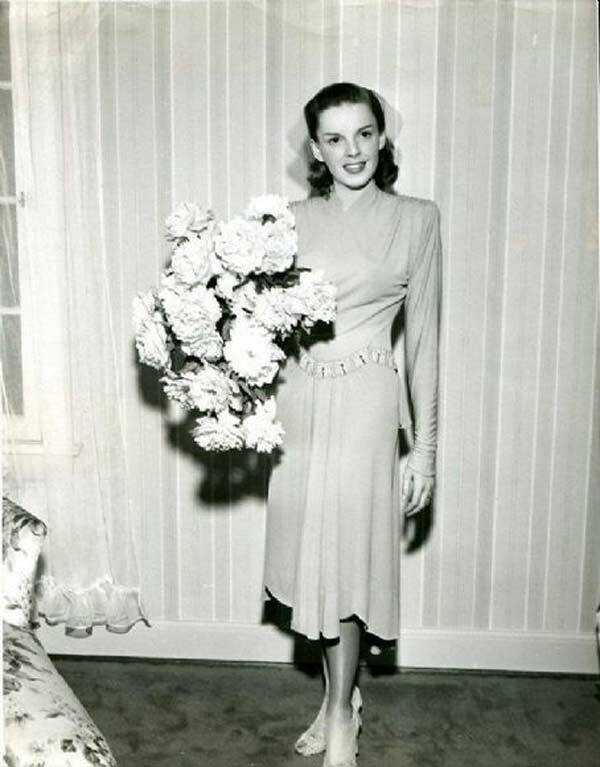 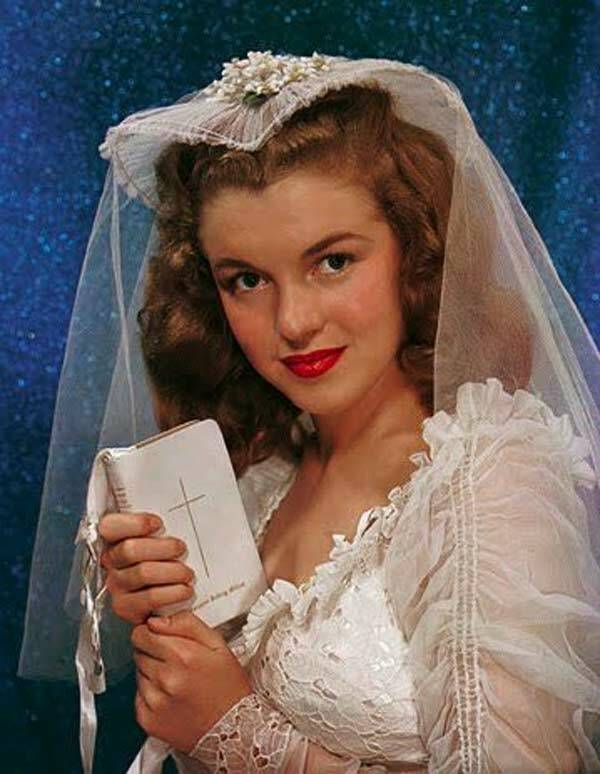 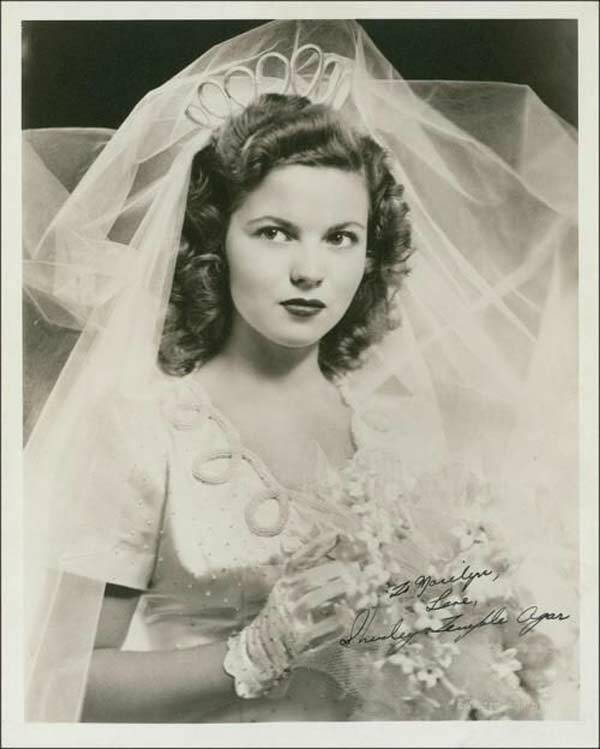 Starting in the mid 1940s, many young celebrities were getting hitched, being photographed wearing dress suits or their Sunday best. 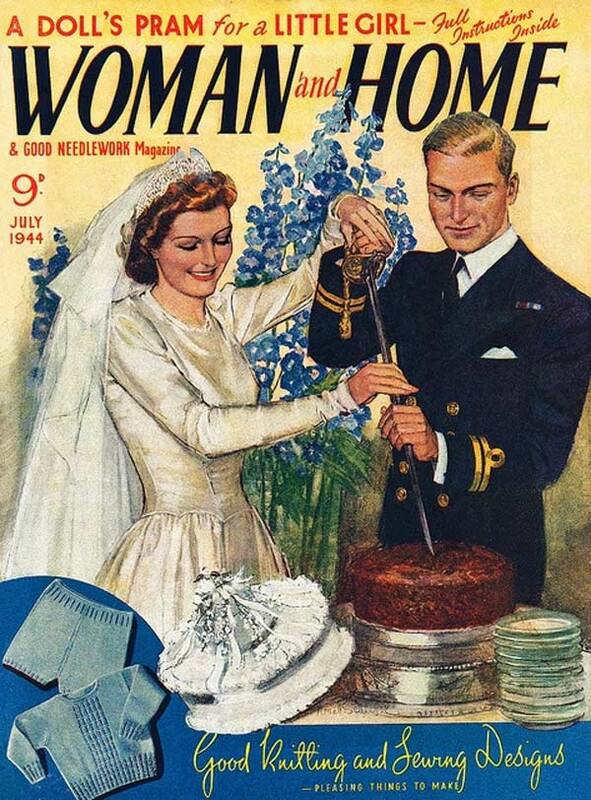 It had become pretty normal to skirt the whole wedding dress altogether. 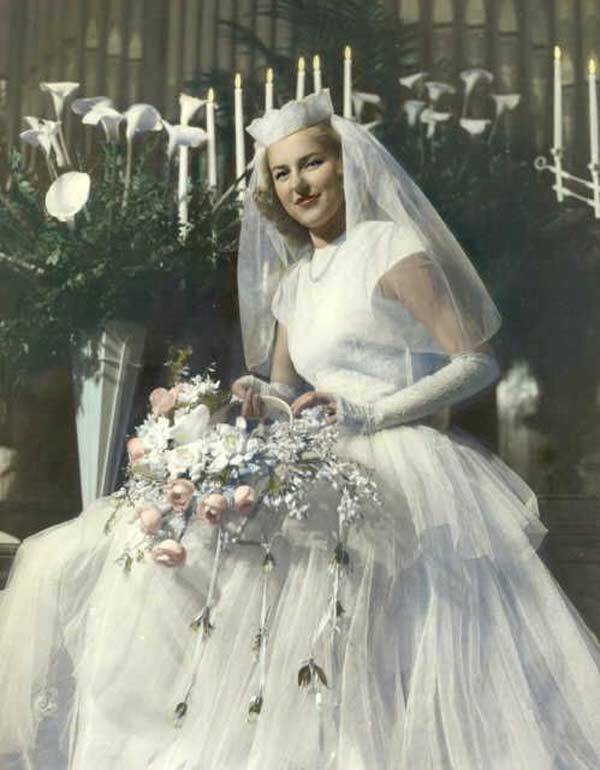 Matching gloves were optional if the wedding dress had sleeves. 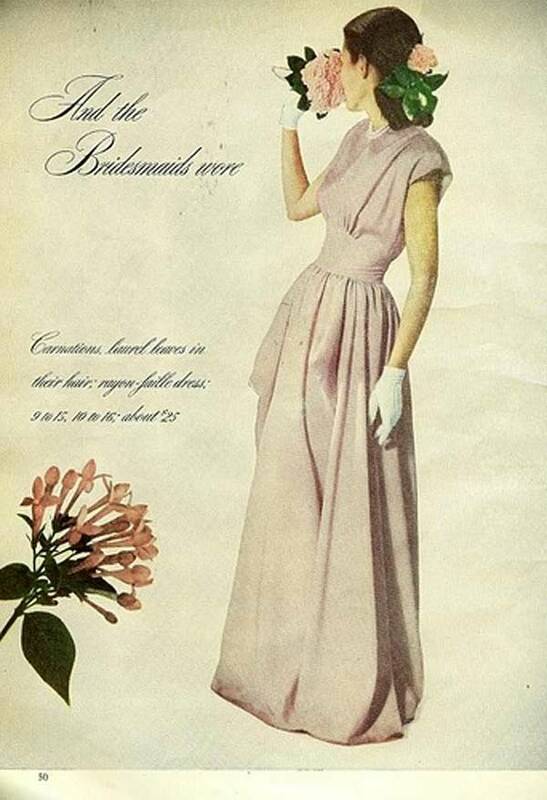 If the dress did not have long sleeves, then it was fashionable to wear gloves that came up past the elbow. 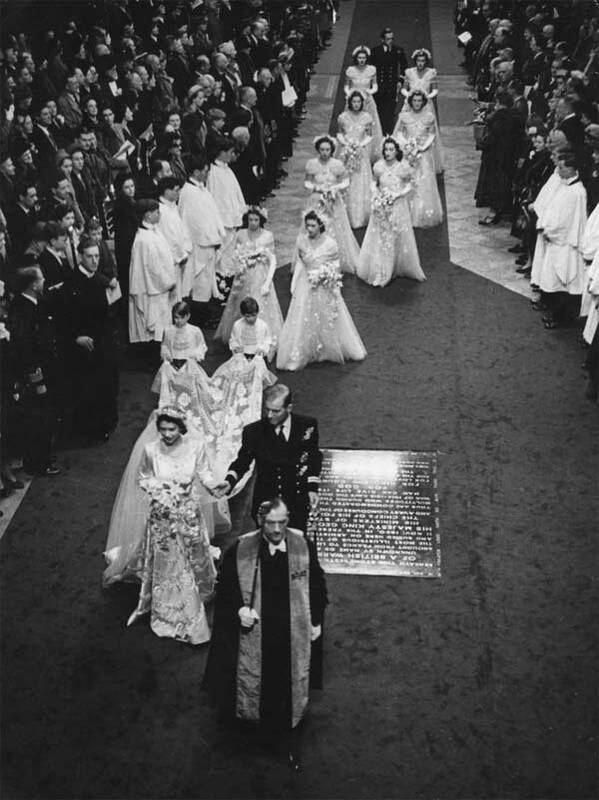 It must be noted that Princess Elizabeth’s 1947 wedding to Prince Philip was probably the most famous wedding in the entire 20th Century. 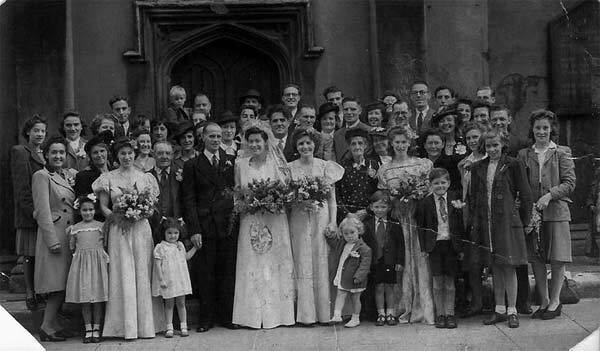 There are some pictures of the event in our gallery below. 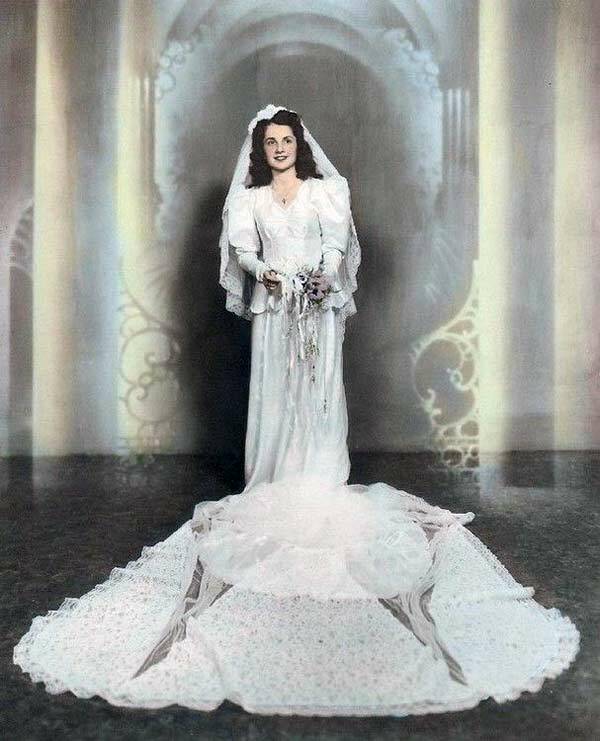 As you can imagine, her dress was pretty amazing.